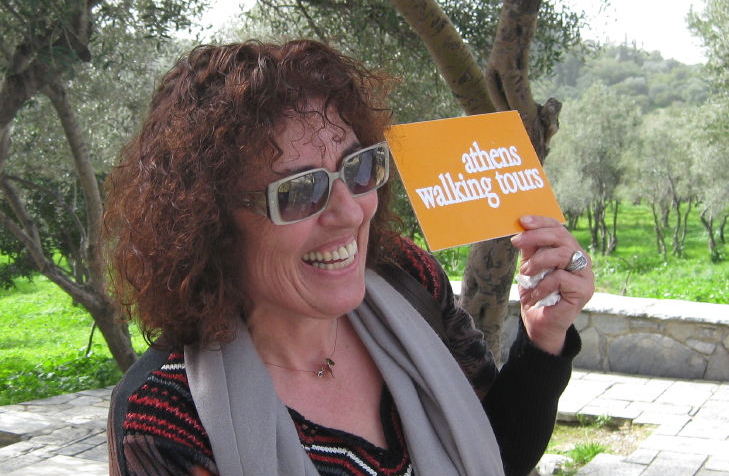 Hi, I am Despina, co-owner of the Athens Walking Tours and a licensed guide, as long as I remember myself. My team of knowledgeable guides and myself put in our expertise, passion and love for the city and that is what makes our tours worthwhile joining them. We run daily small group historical and culinary tours, run by University graduate guides to ensure the ultimate experience! I am looking forward to seeing you in Athens. 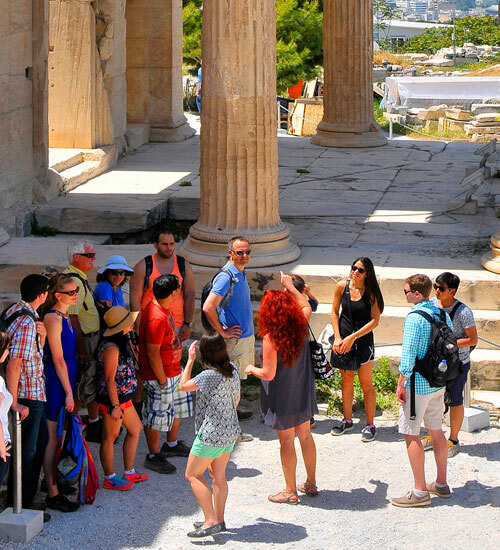 We are the top-rated Athens-based tour company on TripAdvisor, and we live up to that reputation by offering walking tours that are unique, entertaining and insightful. We do our best to keep our tour groups small and flexible, providing conveniences for our customers. 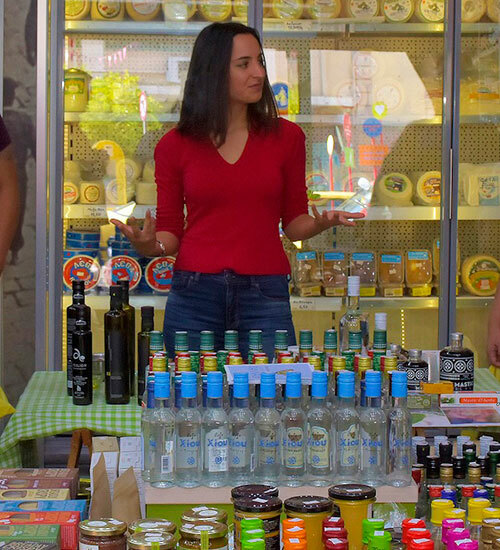 Our experienced guides know every corner of Athens and know exactly how to bring that one-of-a-kind urban insight to life for you. Explore the most significant modern and ancient sights with our knowledgeable guides. Visit the Temple of Zeus, watch the Changing of the Guards and visit the Acropolis (including the Parthenon, the Nike Temple and more). This tour sweeps through the historic city center, stopping at two of the most loved sights. Experience a visit to the Acropolis, then head to the Acropolis Museum to admire the marble masterpieces uncovered at the Acropolis. In a few hours, see two of the city’s most visited sights. 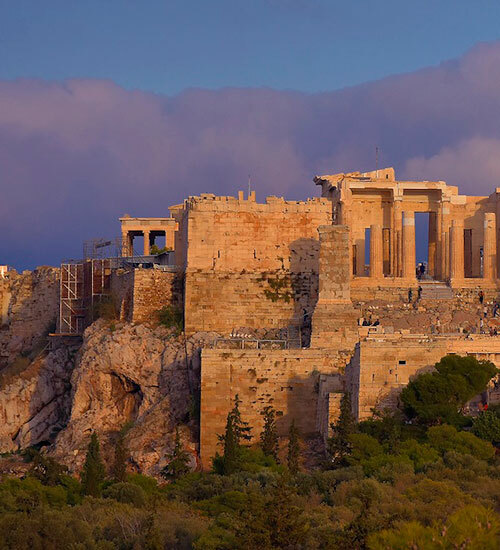 Explore the Acropolis and take panoramic photos. Then see the famous marble sculptures and works elegantly housed at the nearby Acropolis Museum. Enjoying Greek food is about the smells, the tastes and the flavors. In a central neighborhood, frequented by locals for its markets and restaurants, discover the diversity and the deliciousness of Greek food in a matter of hours. Even with limited time, you can visit to the famous ancient Acropolis. In under two hours, we’ll guide you through the storied monuments which will also be an opportunity to take incredible panoramic photos of the capital. A wonderful walk through the unknown alleys and the secret corners of Plaka and Anafiotika followed by a thorough visit to the Acropolis and all its monuments! Explore the most fascinating ancient sights where democracy was born. Walk up to the Acropolis, stroll through a central marketplace that gathered the greatest thinkers of their time, and view the treasures at the Agora Museum. The flavors of Greece will come alive as you cook some of the country’s most loved dishes. With expert guidance from a local cooking instructor, you’ll prepare a Greek Sunday dinner – then dine with your classmates under the majestic site of the Acropolis! As the cradle of Western civilization, the Ancient Agora is exactly where democracy came to life. 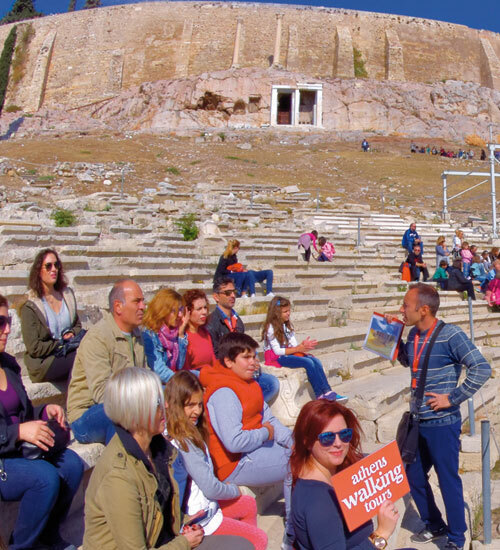 Stroll among storied marble ruins as you learn about the significant accomplishments of ancient Athens. What they say about us!! This class was something different that will stick with us. Fofi is so nice and walks you through everything. Rather than just go through the motions, she genuinely seems to care if everyone is having a good time. The food was incredible and we made way more than the 12 of us could eat. This is an absolute must and well worth the money. Gods and myths walking tour. Loved this tour. We learned so much and our teenage boys really enjoyed it. They are 15yo. We got to see parts of Athens we would never have discovered on our own. I love walking tours. Such a great way to get to know the city. Wonderful Acropolis Evening Tour! Climbing the Acropolis was the highlight of our trip to Athens. Our guide was a wealth of information. He was engaging, scholarly, and fun! A perfect trifecta for any tour!The Acropolis is truly awe inspiring. Thank you! Our teenage daughter had requested a Greek cooking class during our stay in Athens and it was a great experience.Small group of 16 guests and very hands on. Fofi, the instructor, was engaging and taught us how to make the specific dishes on the menu, but also gave us tips and insights into Greek cuisine, ingredients, culture. Celebrating 21! !Our guide was so generous with his depth of knowledge and passion for Greece! He invited us to be part of history! We loved it!!! We had a great guide and we enjoyed his insights and knowledge. It was great to see Athens' sights in a small group. The tour goes for 5 hours so it's a relatively long time, but it is at a casual pace. Would recommend this tour! Very good if you want to see the sights and get an idea of the historical importance of each area. Great informative and fun Tour of Acropolis and Museum Well organised, ideal size of group, super knowledge our guide had on the Acropolis and the adjacent Museum. Not 1 second boring. Good length of tour. Recommendable! Wonderful AM Acropolis Tour! Highly recommend this early AM Acropolis Guided Tour! My husband and I took this tour in May while on our honeymoon in Greece. We only had a day to spend in Athens and this was definitely time well spent! Greek Small-Group Cooking Class in an Athens Tavern. Our teacher was fabulous. She engaged everyone from the very beginning. Her English was impeccable and she gave great tips and knowledge. I would recommend to friends to do! Our dishes turned out yummy. I think she inspired my husband to cook! Very informative tour This tour was beyond our expectations. Our guide was extremely knowledgeable and informative. The length of this tour was perfect. Great Tour! Our tour guide was fun and very knowledgeable. He kept us in the shade as much as possible which helped with the heat. The best walking tour We took 5 hour guided tour of Athens, Acropolis and Agora. It far exeeded expectations. Well organized, small groups excellent guides. Great way to see ancient Athens We thoroughly enjoyed the 3 hour walking tour. It was a terrific way to see ancient Athens. It was informative, and nice to be in a small group. Best customer service & tour guides! This tour is rated the best for a reason. The customer service is exceptional, and are very prompt at email correspondence. The organization, route, and scripts for the tour was excellent. Our tour guide was friendly and knowledgeable. Bring bottled water and hat if hot. Thanks so much! Copyright © 2018 City Contact. All Rights Reserved.